The relentless crypto bear market may have taken a toll on crypto prices, but not on the Bitcoin ATM market. New Bitcoin ATMs are popping up around the world, specifically in the United States and Latin America. In fact, IIB previously reported that there are over 4,000 crypto ATMs worldwide and nearly 5 new crypto ATMs installed every day. These statistics are showing no signs of slowing down as the crypto ATM market continues to boom. The latest city in America to see an increase in ATMs is Chicago, which reportedly holds nearly 100 cryptocurrency ATMs after the Atlanta-based company Lux Vending installed 30 new Bitcoin ATMs throughout Chicago this year. The new terminals are going under the brand Bitcoin Depot and will allow customers to trade cash for Bitcoin (BTC), Ethereum (ETH), and other digital assets. Moreover, other crypto ATM companies have already set up shop in the city. Red Leaf Chicago has installed 60 machines, accounting for 30% of the company’s 200 machines across 21 states. Other crypto ATM companies with machines in Chicago include Athena Bitcoin. Also, not only does Chicago have a lot of Bitcoin ATMs, but the 5th-most populous North American city is already thriving in terms cryptocurrency businesses and exchanges. The city’s big exchanges, CME Group and Cboe Global Markets, are both offering non-physically settled bitcoin futures contracts. Coinbase, North America’s most popular cryptocurrency exchange, has recently set up a major office in the city. And various Chicago-based crypto startups, including ErisX and SeedCX, are developing trading platforms in the city. In addition to the influx of crypto ATMs in Chicago, according to Philly-based Straight Up Capital’s managing partner, Sean Keefe, Philidelphia has nearly 100 Bitcoin ATMs as well. Even more impressive news comes from Coinstar, the popular self-service coin-counting kiosks that reward users with cash for their loose change, has partnered with Coinme, a US-based Bitcoin ATM company. This newfound partnership which was previously reported by IIB, allows people in the United States to buy Bitcoin with their spare cash from over 3,000 ATMs across the country. Buying crypto in 2019 is shaping up to be easier and more convenient for people in the United States than ever before. Apart from the booming crypto ATM market in the United States, Latin America is seeing a similar trend. This is largely due to inflation-driven demand from the people of Venezuela, who are suffering from financial and political insecurity caused by their government. The Venezuelan currency is essentially useless as it has undergone an inflation of nearly 900,000%, and Venezuela is seeing both rioting and mass emigration. This has led to substantial demand for a safe and secure store of value that their government cannot manipulate, which is Bitcoin (BTC). 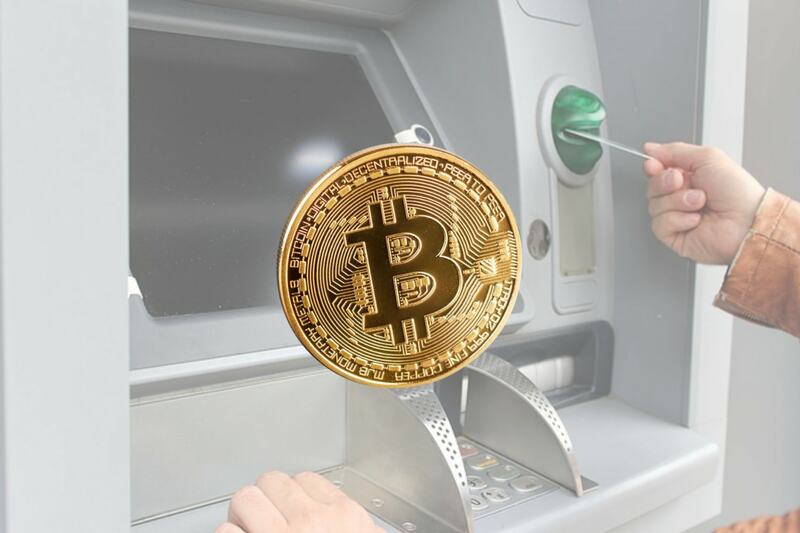 According to Matias Goldenhörn, the director of Latin America operations at the ATM operator Athena Bitcoin, Bitcoin ATMs are becoming a real alternative to banks in Latin America. In 2018, Athena Bitcoin installed 25 new crypto ATMs in Latin America and earned $3 million in net profits, partly because of the custom from Venezuelan expats in Colombia and Argentina, the latter of which also experience 40% inflation in 2018. The company’s goal for 2019 is to raise $7 million in their Series A funding round, and then deploy 150 new Bitcoin ATMs across Latin America. Furthermore, the Panama-based startup Cryptobuyer plans to open 10 more ATMs in Argentina, 10 in Mexico, and 10 in Venezuela in 2019. According to the startup’s CEO, Jorge Farias, these countries have major immigrant populations from Venezuela, and demand for Bitcoin ATMs is high. All in all, the need for crypto ATMs is evident in countries such as Venezuela and Argentina. In light of these countries’ high inflation rates, it is crucial to spread the knowledge that Bitcoin can be accessed even by the unbanked, and to provide people with safe and secure avenue to store their wealth — the spread of Bitcoin ATMs accomplishes both of these goals. How many Bitcoin ATMs are located in your city? Have you ever used a Bitcoin ATM? Let us know in the comment section below. According to CoinATMRadar , there are 3,824 Bitcoin ATMs located around the world in 76 countries. The U.S. makes up the most, with 2,259. This is followed by Canada with 669, Austria at 241, and the U.K. with 204.